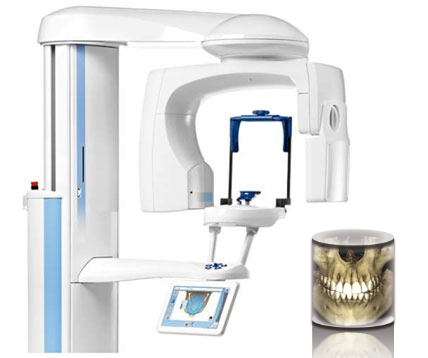 Digital imaging technologies enable better detection, diagnosis and treatment of oral and maxillofacial conditions. 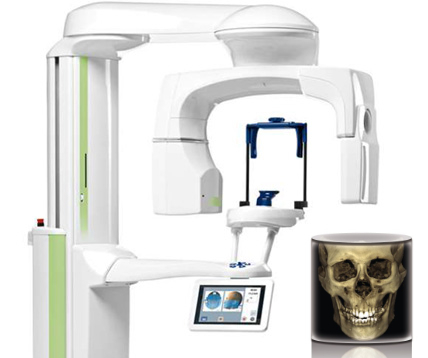 The Planmeca ProMax 3D unit family offers three different types of three-dimensional imaging, as well as panoramic, extraoral bitewings and cephalometric imaging. Planmeca CalmTM (Patient Movement Algorithm) – Planmeca is the first company in the dental industry to introduce motion artefact correction. 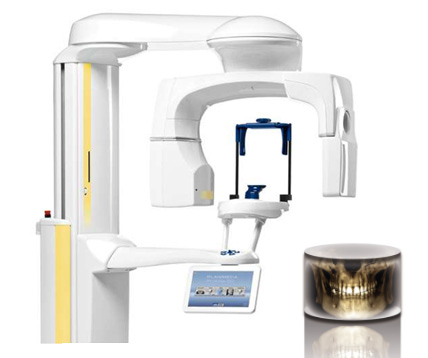 Ultra-Low Dose – ProMax 3D offers a unique low dose protocol, enabling CBCT imaging with an even lower effective patient dose than a standard 2D panoramic image. 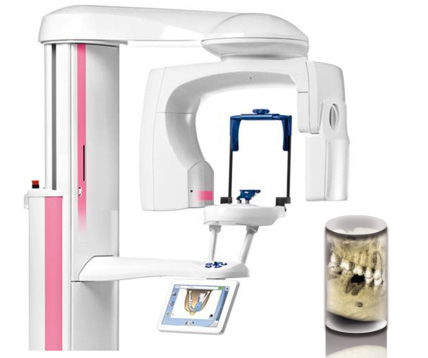 3D and 2D – Planmeca’s family of 3D machines also have an advanced range of 2D imaging such as bitewing, panoramic and TMJ, with all available from the same sensor. 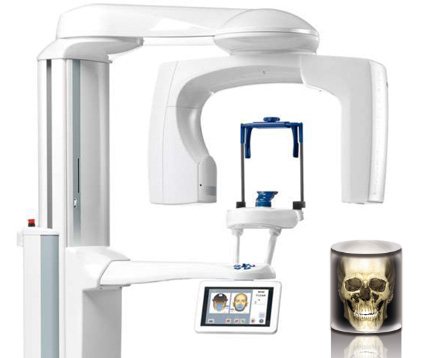 There is a range of imaging units, varying in size, available from Planmeca. Examples of the units available are shown in images displayed on this page.